Recently I have been trying to find a nice wide angle point & shoot camera to use for documenting my very long moped commute in LA. I have been as thorough in my search as I could manage and below are my notes from the process. This post documents the cheaper mass produced cameras, I wish I knew which of these below had plastic versus glass lens but I think a good number may have plastic lenses. I will follow up with another post with the medium fancy/very fancy models. Oh yeh the rules of the game. These are all film cameras (35mm film). The cameras have lens that are 32mm or wider. Only fixed lens cameras are listed–so NO zooms allowed! 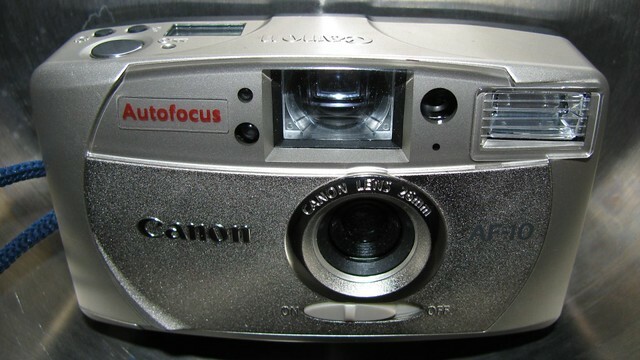 On this post I am looking at Autofocus (AF) cameras. This post is also limited to Budget models. This is Part 1 of a 3 part series. Part 2 covers Higher End Models (mostly AF but a couple zone cameras thrown in). Part 3 covers Budget Fixed Lens cameras, verging farther into Toy Camera territory. A common thread with many of the cameras below is that they accept a limited range of film ASA types (100 and 400 ASA being the most acceptable) and feature a camera design that makes turning off the flash more difficult. Anyways the individual cameras vary, this is a general observation. Also the shutter and aperture are fixed on many of these. . . sometimes only one of these, sometimes both, sometimes neither. . . . often it’s hard to tell exactly. . .
One source states it accepts 100 and 400 ASA film only. The pictures on flickr from this camera are real nice. Canon really rocked the world with the Sure Shot cameras and this one seems like a keeper. As noted above fixed f-stop of f6. Don’t seem to be many of them around, for whatever reason. The second version of the Prima Mini is a better design: easier to turn off the flash and there is a lens cap/slider thing. I wrote about these before. Hard to find much info about these. Looks like it only takes 100-400 ASA film. Firing the camera with the back open it seems like the f-stop is fixed at 5.6. The slow shutter is accessible by manually putting the camera in “night portrait mode”. On Flickr there seem to be many more photos from Japan than the States. 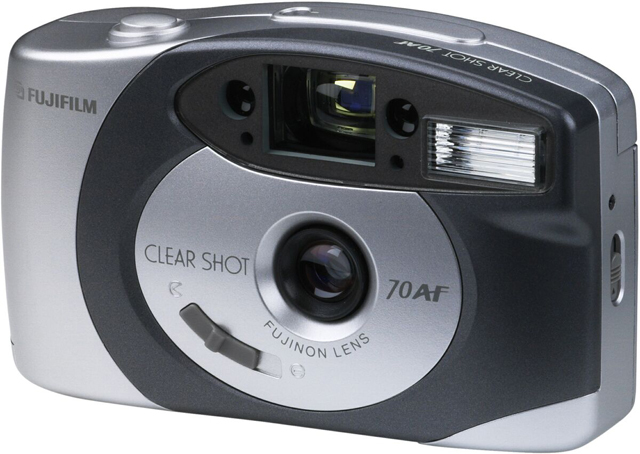 This “Clear Shot S Autofocus” is a good find, with its 26mm lens. I like photos from the camera a lot (links below), lots of vignetting and distortion at the edges. 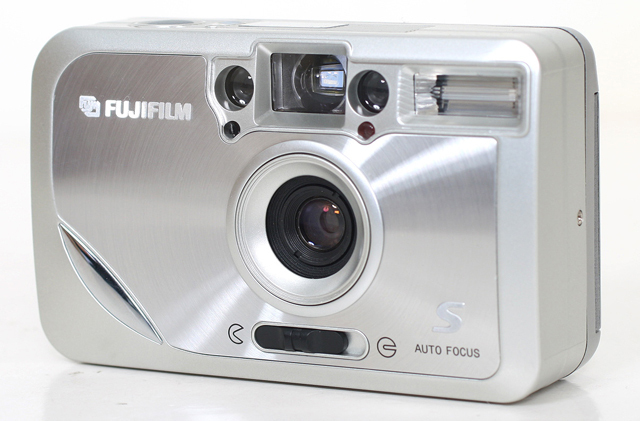 There are two models of this camera, a fixed focus “Clear Shot S” and an AF “Clear Shot Autofocus”. Wish this one was easier to find in the states. Spec sheet on Fuji page! People are kinda harsh on the lens but the pictures from this one look decent to me. Better 2 shutter speeds–than just one! There is also a fixed focus version of this camera. I am guessing that the EU-Mini (fixed focus) is very similar to U-Mini AF? This is one of the more cheaply available wide angle point & shoots. Based on the page from the manual page posted on flickr it only accepts 100 and 400 ASA film. This is a pretty basic little camera, takes nice photos based on the samples below. 100 and 400 ASA. This one seems to be fairly widely available. 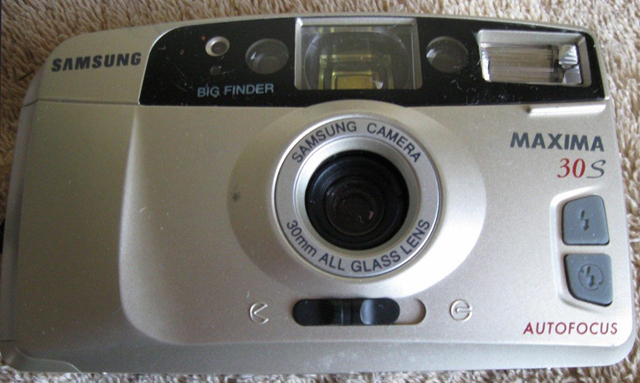 The AF35 Big Finder is similar but with a fixed shutter of 1/100 and f-stop of 6.3. Lower end Nikon cameras, guessing it is a very simple camera. Affordable and available. 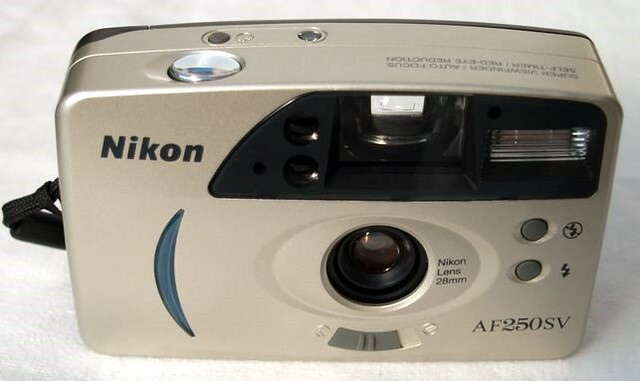 This is a lower-end Nikon that sported a fixed 28mm lens. I can’t find any more specific specs but I like the images from it. 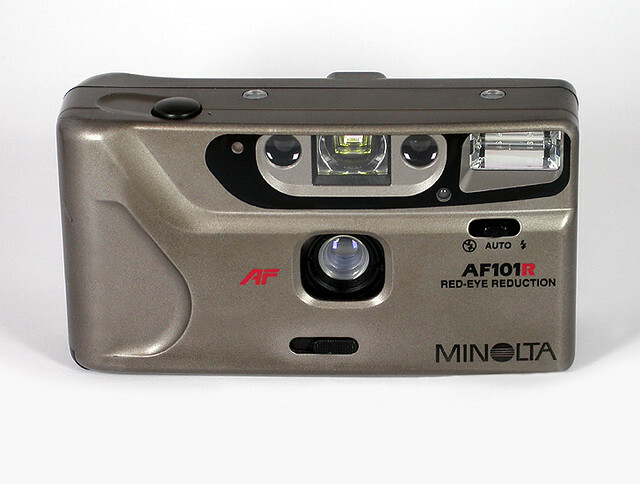 Another simple camera, looks like it only supports 100, 200, and 400 ASA film. The XB41 has a self-timer. This camera is widely available, seems a little more on the toy camera side of things. Two very similar cameras by Olympus, the AF51 has more available shutter speeds. This cheap little camera seems like it just might be OK. No way to turn off the flash on the AF50, guessing its the same on the AF51. I found a reference to the AF50 clearly indicating that it has both fixed shutter and fixed aperture. As noted above the AF51 supports multiple shutter speeds. There are also the Trip AF60 and Trip AF61 out there as well, these seem to be very similar beasts. Only accepts 100,200, 400 ASA film. This is another cheapo wide angle point and shoot (one reviewer got his new at Walmart for $20). Looks like the aperture and shutter are both fixed. Photos are surprisingly good from such a simple camera. 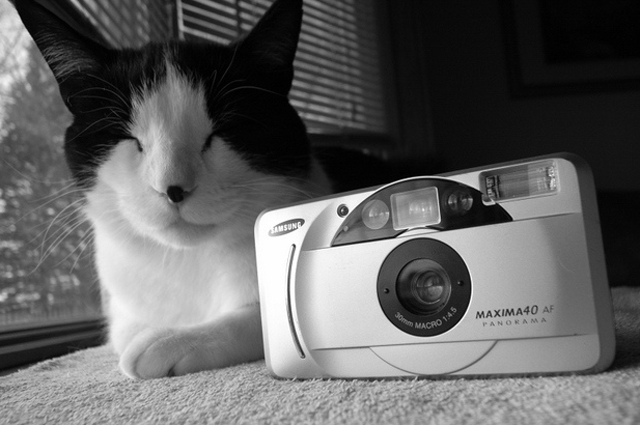 The PC-330 is very similar, but fixed focus and with a 26mm lens. 1 2 3 4 5 Sets on Flickr! My guess is that this is an update of the PC-550 with a slightly wider (27mm) lens. I am thinking it is very similar otherwise, not able to find any specs yet. The Pentax PC-3000 is worth noting too. It is fixed focus and has a 25mm lens. Very neat. The whole Pentax PC line up! 3 way switch on the front. Looks like an upgrade to the Fino 20SE, but now with AF. Again the viewfinder is described as a 80% viewfinder. Samsung owned Rollei from 1995 to 1999, so Samsung cameras from this time period are well regarded and may or may not have Schneider lenses. In any event this camera brand is supposed to be decent bang for your buck from this time period. The Fino 35SE and Maxima 35SE appear to be the same camera but with a self-timer. Seems like the shutter is indeed fixed at 1/125 (as per very middle of this forum page). This is the one with the two flash buttons on the front. The “Maxima 33S” looks like very similar model, with a self timer. 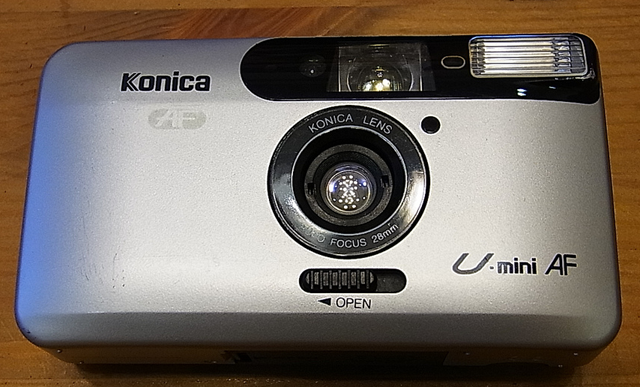 My hunch is that the fixed focus version of this camera is the Fino 20s/Maxima 25s (see Part 3 of this survey). Limited to 100 and 400 ASA. A different body style. 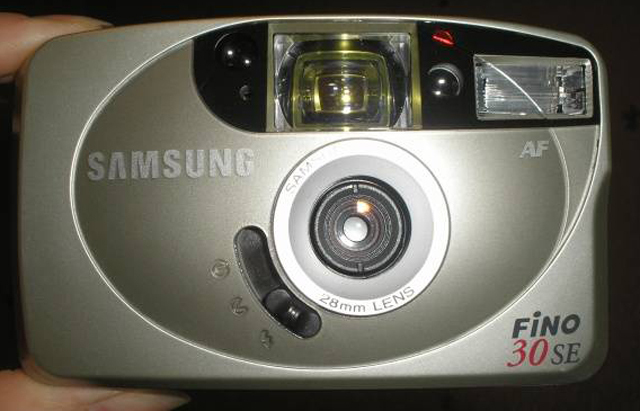 The distinguishing element of this one is the panorama mode, which evidently was a sought after option on point and shoots at that period of time. It also can shoot macro. This seems like a higher end model of the fixed focal length Samsungs, I wonder if it features multiple shutter speeds? Again if you have bigger budget or are just curious about higher end models check out Part 2 with more expensive wide angle point and shoots and Part 3 — Budget Fixed Focus Cameras with more budget cameras. Thanks for linking back to my shots! Cool post. thanks for the comment! pretty cool photos btw. Thank you! I’ve been keeping a photo diary of my trip to the US if you want to see more. Nothing on film though – slowly filling up a new spool. I did find a Keystone Everflash 10 at a thrift store. In its original box with user-manual and warranty inside. It’s uses Kodak 126 film (I have no clue what this is). I’m not very clued up on film cameras etc but I have an appreciation for them! Hope you are enjoying your stay in the states (I grew up in Virginia and still feel attached to that landscape). Cool you will have a record of this time. . .